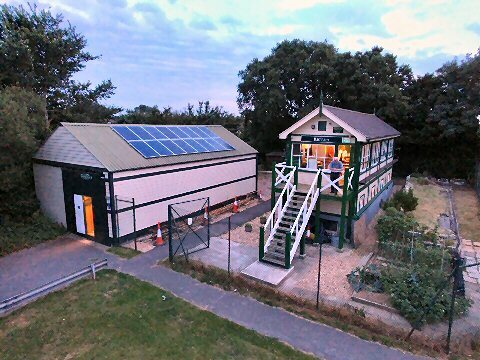 Our new home(s) are completed - the former Barnham Signal Box for our meeting place and the Goods Shed for storage of layouts. Below can be seen a view of the compound. Main thing now is to prepare and erect the (operating) signal. We welcome anyone who models in any gauge and scale. OO is the most modelled within the club, however, we have members who model in N, OO9, 3mm, HO, 0-16.5, O and G scale as well as tiny T gauge. We encourage all members, irrespective of which scales and gauges they prefer, to participate in the design, construction and operation of all layouts. Please follow the links above, and the news items aside, to learn more about what we do. 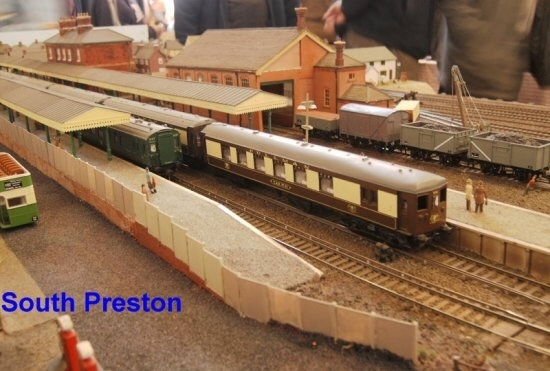 When we attended the show at the Victory Model Railway Club in Portsmouth with our Barnham layout (see news item dated 14 May 2015) the layout won the trophy for the best layout. You can see the team in the picture below with our then Exhibition Manger, John Wakeman holding the trophy on high to the left of center.